On the New Year’s Day, it’s a tradition in Greece and in eastern Europe in general, to cut a bread or a pie that contains a hidden coin – find it and you’ ll have luck for the next 12 months! We cannot start a year without the so-called “Vasilopita”. And this is not just a family affair. Companies do have their Vasilopita too, that they cut in the first trimester of the year. At Enartia, our mother company, chances are high that we broke a record. 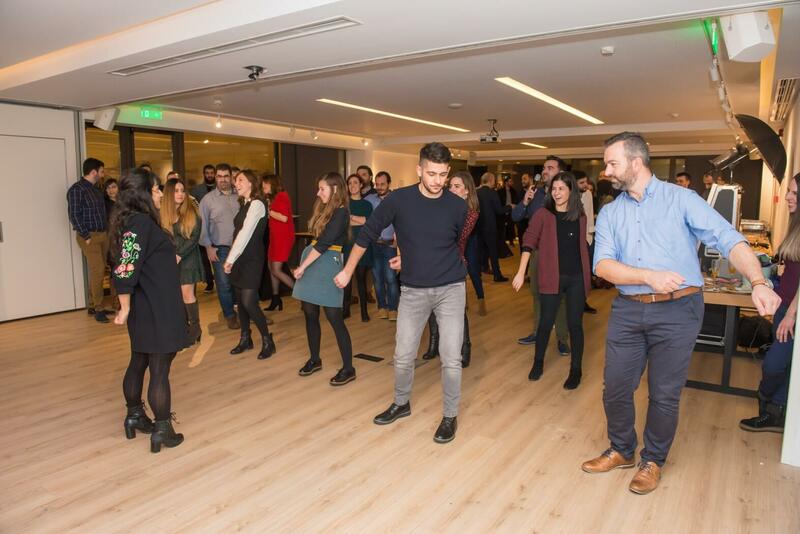 For 2019, we held the Vasilopita event on 13th of January, really early for greek companies’ standards. Our meet point was at the IBIS Hotel of Heraklion, Crete. And we had a blast! But, why? This kind of events are usually not that interesting. So, let’s talk about all the things that made the difference. This way, we believe that you’ll get to know us even better and of course, pump some inspiration. 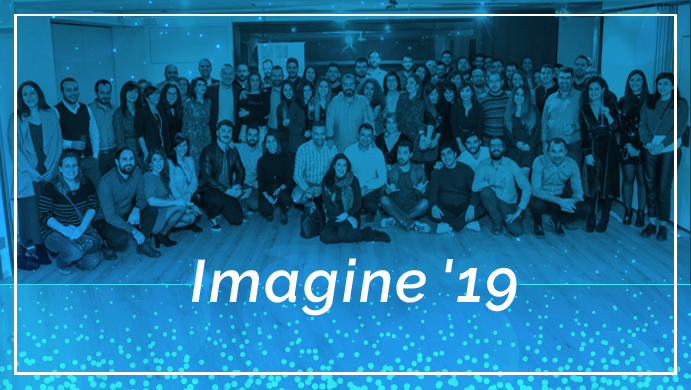 “Imagine ’19” was the motto of the event! 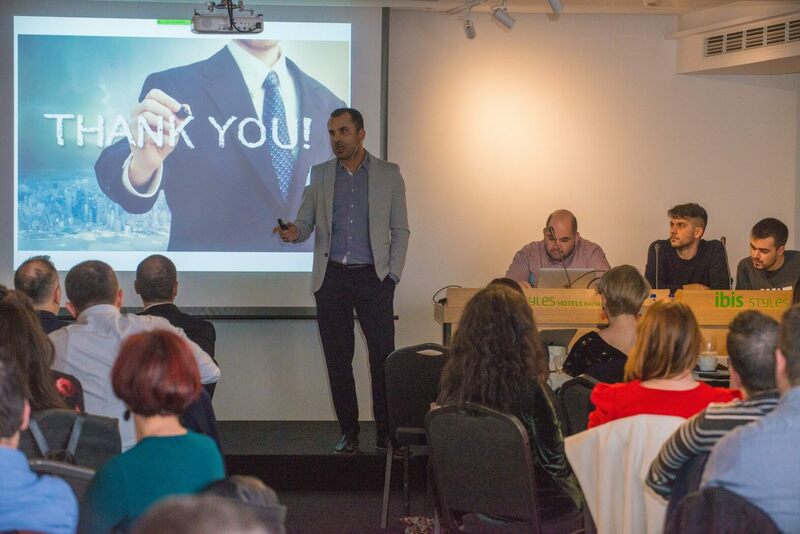 Enartia’s co-founders as well as the managers of all the departments, through their presentations, talked to us about what we achieved in 2018 and underlined how important is to elevate our imagination this year! It’s a real challenge for each one of us to imagine wow services and products, that will help us not only in the company’s microenvironment but mostly in our lives, in general. Our vulnerabilities were mentioned in the presentations we watched. Because yes: we make mistakes too. But we don’t let them make us feel embarrassed or disappointed. We talk openly about them and use them to make ourselves better. Smartphones are good but photobooths provided by Mirror Booth Events are better! We had a great time striking poses on the photobooth’s mirror and playing with the emoticons on the screen. Many of the happy photos taken are now hanging on the walls of our offices (house offices included as we have remote colleagues too)! After the talks, it was party time! We cut the Vasilopita (which had 4 lucky coins), we ate and we danced. The last wasn’t part of the schedule, though it came naturally as many of us wondered what the photobooth meant with the “do the floss” message shown. There was a person familiar with this dance move that was offered to teach the rest. We danced (or tried to), we laughed a lot and then the paparazzi came. There was that feeling all the time. The event itself (it was organized for us! ), the details… everything shouted that we are special. Do you want us to give a specific example? On the bamboo mugs that were given to us as a gift, there was this phrase written: “we hire smart people so they can tell us what to do”. So, these were the most important reasons why this Vasilopita event will be unforgettable. If you are a company owner or a team leader, make sure that you don’t forget how important is to create beautiful moments for your people. Find the chances to engender smiles and to share important information. This way you’ll show them that they are valuable members of a big family. From us, wishes for a happy and creative 2019. 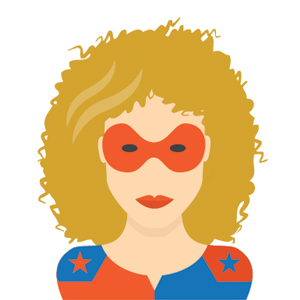 Let this year be full of imagination, creativity, smiles and good coworkers. Oh, and don’t forget that there are some interesting job openings at Enartia. Think about it and who knows? Next year you may be next to us, on the group photo! ← Comodo SSL turn into Sectigo. What changes? Top.Host Support: Two more awards in Customer Service!